Let's say you've got a product or solution that has only been sold to existing clients as you expand your account with them. Now you want to take the solution directly to market and position it to drive initial customer acquisition. Only problem is that this solution has limited market awareness and no established target market. So, how do you know who to go after? Here's one way to go about it. Start with problem/solution scenarios that produce business value. Make a list and then prioritize them based on the highest visible impact. In other words, go for the biggest bang from your customer's perspective. If it impacts measurable dollar metrics, all the better. Regardless, you need to determine how to quantify outcomes in a way that has value from the target market's perspective. Talk to the clients you've upsold the solution to and determine what problem they solved. But reach farther and learn why they chose to solve the problem and what their initial goals were. Then find out what outcomes they've actually achieved. This will help you begin to formulate your list. Additionally, take a look at your solution closely and identify business values that may not have been defined. Thinking about how problem/solution scenarios impact business outcomes can often provide new ways of looking at your products and solutions. How we intended our clients to use them may not always be providing the biggest value. And, things change fast. What may not have been evident in the past might present an entirely different value opportunity than you've previously considered. Ask yourself if the scenario list can be focused even tighter by applying them to specific industries. Do you have a presence in any of them you can leverage? Once you have your list, determine who your buyer is. And please note that it's not always what seems apparent. The decision maker for a technology solution may not be in an IT role, for example. Then look at who might influence the status quo in regards to correcting a problem, meeting a challenge or taking advantage of an opportunity related to your selected scenario. 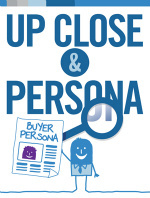 Don't disregard the influencers as they can be key contributors to the purchase decision. Make sure you define the problem/solution scenarios for each type of influencer. Every person involved in the decision will have a different stake in the ground in relation to project outcomes. Those various perspectives should be addressed to increase relevance. This is a simplified approach, but it will produce some viable parameters for a definable target market...and a lot of things to think about. Remember to think iterative. Start small and build momentum. Why are prospects so hard to engage? Engaging your prospects is harder than ever. It's one of the things both marketers and salespeople struggle to accomplish every day. By understanding why attention is scarce, you can comprehensively change the impact you have with your ability to engage prospects from the beginning of their buying journey through their purchase decision. People are busy. Not just busy, but overwhelmed. The average executive has 52 hours of work sitting on their desk--right now. If an average person receives 600 offers per week, imagine how many a busy executive decision maker receives. Attention is stretched. Environments are less controlled and information volume has increased dramatically. It comes at them from email, the Internet, their PDA, the meetings they attend, phone conversations, peer conversations, etc. People are being asked to do more with less. They're being challenged to solve problems and deal with issues beyond their core expertise. They have urgent need for relevant information that helps them get up to speed fast and deal with these issues competently. People have no time to think. We've become a culture of doers. The speed factor has us trying to move so fast that we're only able to scratch the surface of thinking strategically. Helping your prospects think elevates you to a valued advisor. Relevance is critical. The key to relevance is talking about issues that are top of mind for your prospects—right now. The mind is sorting through so much garbage messaging that it's become streamlined—out of necessity— to look for ideas and messages that connect to the issues. Don't ask them to take the effort to connect the dots. Help them do it easily. By flipping your focus from products to your customer's perspective you have the best shot at catching their attention because you can attain a higher probability for connecting with what they consider to be relevant. I spoke about this topic...and more, today on the Sales Shebang Preview call. You can hear my 15-20 minute interview with Jill Konrath here. If you haven't considered coming to the Sales SheBang conference, please do. I'll be giving an extended workshop on this subject. Plus, there are a lot of terrific sales experts speaking. 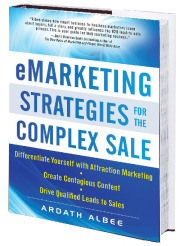 This is a real chance for marketers to get insight to how to help sales sell better. What do your partnerships say about you? I love Wired magazine. The articles are insightful and meaty and expose me to new ideas and thinking. So, imagine my surprise when I received my latest issue bound with a copy of Fashion Rocks magazine. Say what? What's funny, is that I was excited when I realized there was an additional magazine in the plastic envelope. I expected it to be something related to reasons why I read Wired in the first place. Wow - a bonus gift, I thought. What a disappointment. There wasn't one thing in that magazine that appealed to me. It made me wonder what Wired was thinking? I'm sure they have a lot of younger, edgy and hip readers who would appreciate it, but I'm not one of them. In fact, this post pretty much sums up my reaction. [Notice the reference to "involutary subscribers" - yep in an opt in world you still get that.] I did look for a link to their magazine, but it wasn't readily returned in a search query. Hmm. **As a side note, I've learned that Fashion Rocks is an annual publication put out as a bonus to Conde Nast's fashion-based magazines. This raises more speculation as Wired isn't one of them. But the real point is that Wired obviously sent this package to all their subscribers, without thought to segmentation or relevance. Is the response from the segment who's interested worth it to put doubt in the segments who aren't? Something to think about if you're still sending one-size-fits-all communications. On the flip side, I wonder what sending out free copies of their magazine to people who aren't interested does for Fashion Rocks? In a world where relevance is becoming more important by the day, I was surprised that Wired chose to do this. If your inbox looks anything like mine, you're scanning and deleting your email quickly, trying to sort through it all and find the stuff you need - as quickly as possible. You've gone out and gotten yourself some great technology to power your nurturing efforts. Software like Marketo, Manticore, Eloqua, Genoo, Genius, or VTrenz (to name a few). You set up your marketing campaigns and segment your lists and start nurturing those leads you've been collecting from your website, microsites(or landing pages), webinars and trade shows. You know every time one of them downloads a resource or clicks on a link in your emails. You can track their activities as they traverse your website. In fact, you've got data coming out the wazoo! But what does it all mean? How can you get the insights that actually help you define levels of interest well enough to get even more in tune with your leads' priorities and buying stages? When you're monitoring lead behavior virtually, you've got to rely on reaction, response and initiation activities as a gauge. You don't get to see facial expressions, slouches or even high fives or joyous excitement at a light-bulb moment. You know, the parts of communication that make up for almost half of our in-person conversational interpretations. Not to worry, you have tools at your disposal that can help you get the most out of your virtual interactions. With the technology, adding, changing and linking content together can help you determine hot vs. luke warm vs. a bit chilly. Knowing who to focus effort on is a huge contributor to shortening sales cycles and engaging leads who are "opportunity prone." Here's the important point. One click or download does not make an opportunity. Five or more clicks on related subject matter in a close time period just might. When you're designing your content flow, make sure you have a series of resources devoted to a problem/solution scenario. Whatever the topic, the way you measure virtual interest is the willingness of the person to keep learning more. Make sure your content is connected with recognizable extension value. That means that it should be obvious that if they found great value in the article they just read they might be interested in downloading this white paper. The white paper should include links back to your website for more "must have" information that appeals to someone truly interested in solving the problem you're addressing. And, once they return, sign them up for a webinar on the same topic or give them a link to a podcast. Scoring systems are evolving as we all discover what's truly effective in marketing communication metrics. I'm suggesting that we add a dimension that identifies interest level. In the first - a person clicks on an email link, visits the landing page, downloads a white paper, visits your about us page and briefly visits a few other random web pages. In the second - a person clicks on an email link, visits the landing page, downloads a white paper, re-visits the site using the link embedded in the white paper, reads that article, and signs up for a webinar on the subject matter. I'd have inside sales make a qualifying call after the webinar for the second one. I'd continue to monitor the first one and watch to see if they express interest through any extension opportunities. By closing the loop with sales and applying their feedback against your website visitor behavior profiles you'll begin to see patterns emerge that define how people act during progressive buying stages. Designing content flow is a valuable step toward improving your nurturing outcomes. More marketers are sticking their toes in the water and grappling with how to include social media in their campaigns. I ran across several blog posts about the NOT in Columbus campaign that can be useful if you have intentions of going after viral stardom. First of all, I have to applaud Experience Columbus for stepping out to the edge to try something new. Kudos to them, as well, for inviting local bloggers to a preview event and asking for feedback about their campaign. But, their timing was off. They did it after all the creative was done and expected bloggers to take up their campaign and run with it. This is a bit counter intuitive as most bloggers are not paid to blog and need some kind of personal investment to take up a cause in their blog posts. Basically, the campaign is all about what you won't find or can't do in Columbus. They created four videos and posted them on YouTube (since yanked) about the fact that you won't find pyramids, Sasquatch, the Eiffel Tower or be able to climb Mt. Everest there. Which can be funny, but they never followed up with the GREAT stuff their city has to offer. What they wanted was for their campaign to go viral. It seems they tried to be a little too cute because they were focused on "viral" rather than being focused on the end result they wanted which was to get more visitors to "experience" Columbus. I appreciate that they tried to present something interactive, but it begs the question of user intuition. Apparently, you have to roll over the graphics to figure out the navigation possibilities. My question is whether or not users will spend the time to figure out where they want to go? Given that the focus is what can't be done in Columbus, why would users bother? So, what do you think? Can you introduce this kind of a website interaction and expect users to spend the time and effort to decipher how to move through it? And, it's hard to share with others since you'd have to say something like "Go to the experience Columbus site and click on the spaceship to get to the information about xyz." This appears to be one of those ideas better in thought than in execution. And the goal of creating something "viral" was the wrong goal. I'm not trying to come down on Experience Columbus - rather I'm grateful to them for allowing us to learn from intention vs. outcome in social media campaigns. Even though it had to be painful for them. If you want to do something social, involve people who spend a lot of time in the "social" space during the brainstorming and design process. Allow "viral" to be a "nice to have" - not the overall goal of your campaign. Remember the engagement equation. Spoof yourself all you want, but correct that impression before it takes hold. Make sure you include motivation for your audience to take the action you want them to pursue. Think about the Effort you're asking people to undertake. The less, the better - in specific regards to the web design. Be willing to learn, iterate and try again. The Experience Columbus folks appear to be doing a good job at participating in the ongoing conversation, graciously. Social media is tricky. It's definition is all about the audience's ability to interact with the campaign. 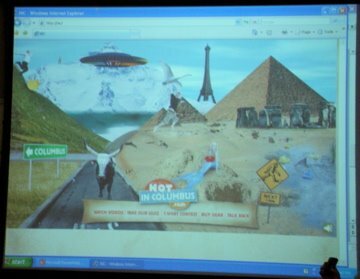 Experience Columbus learned this the hard way via the comments their videos inspired. More than anything else, this campaign points to the absolute necessity to know your "customers" and keep your focus squarely on what inspires, motivates and engages them to respond to you in the ways you want them to. Inactive Leads - Keep or Purge? I was reading the Marketing Sherpa Email Benchmark Report and learned (among other things) that 61% of email marketers aren't identifying inactive leads, thereby skewing their metrics and diluting their results. They indicate a need to re-activate or purge inactive leads. In thinking about this I began to wonder what identifies an inactive lead? Research tells us that 80% of our leads will eventually buy within 24 months. But that can't be the cutoff because if they've been inactive, then what would make you think you'll be top of mind when their priority becomes your opportunity? Then again, how do you know they aren't scanning your message in the preview pane and just not yet ready to open it all the way or click through? Pete Krainik, in a post over at The CMO Club says, "There is a fine line between persistence and “wearing down” a CMO. After a few calls and emails, time to try plan “B”. If I do not respond to 4 emails, it is unlikely I will suddenly open the 5th. After the 5th call I start to get annoyed and it creates a negative view of the company." This was item #4 in his list of 6 things to avoid when selling to a CMO. Although, I have proof that his opinion isn't always true. Sometimes it's a truly inspired subject line, topic, a shift in priorities or a colleague's passing comment about your company that can influence an active response to that next email. I have helped clients with campaigns where the lead has remained on the list and made it to the 11th send before opening. After that, they opened every one. I've also had recipients who opened the first and didn't respond again until 5 touches later. Define an inactive lead. This could mean something as simple as no response or website visit in 3 months, or 6 sends. Set a defining and measurable metric and stick with it for consistency. Move the inactive leads to a slow-burn nurturing track. Send them one email a month to tempt them and test the waters to see if anything has changed. Include several choices of topics to see if their interest can be captured differently. Anyone who takes action gets moved back to a faster track related to the interest expressed in that response. For example, if you have topics A, B and C and they click through on B, then that lead goes to the track focused on B-topic messaging. By moving inactive leads off the "active" campaigns, your metrics will give you a more accurate response metric, as well as helping you narrow your focus to those truly interested in ongoing dialog. The other thing I'd recommend is paying strict attention to bounces and spam reports. The Marketing Sherpa report also mentions that 43% of recipients use the spam button to "unsubscribe." And it doesn't hurt to test your unsubscribe process and make sure it's working as expected. You need to honor your audience's intentions and stop when they say stop. One more thing. You didn't think I was going to leave out the message, did you? Make sure your messages are delivering value, not sales pitches. 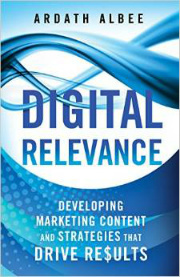 Digital nurturing is about adding relevant information to stimulate a dialog. It's not about trying to sell anything. That's the natural conclusion if your subject matter is tuned to your audience's highest priorities. That's what's going to get their attention. Remember that interest shifts. Persistence pays off in the long run, and dedicated consistency helps make sure you're in view when your lead's priorities shift. Finally, Seth Godin writes an interesting post titled The Intangibles. He's talking about how to sell when you cost more (without discounting). Some of his points in the bullets an be great ways to stimulate your thinking about how you might re-engage inactive leads. Brian Carroll shared some good insights about lead re-engagement in an interview by B2B Magazine. So what do you think? Keep or Purge? I'm giving a workshop on Flipping Your Focus at the upcoming Sales SheBang Conference in September, in Minneapolis. 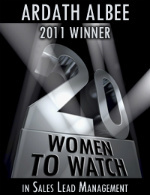 I'm really excited to be included with such a dynamic roster of women sales experts. Last year was a wonderfully motivating and enriching experience and I'm really looking forward to seeing how we'll top it. Jill Konrath, the founder and ShEO of Sales SheBang has put together a series of Free Preview Calls for those of you lucky enough to attend - and those who can't. She'll be interviewing 3 speakers on each call to give everyone a chance to get to know some of us and pick up a tip or two before the event. **If you can't make the actual calls, they'll be recorded - but you have to register so we can send you the links. When you register once, you're signed up for all three calls. I'm in some great company, don't you think? As marketers, we can all benefit from getting more insights to the sales process. How else are we ever going to work together to capitalize on our power as a unified force? We're all talking about the same things, just in different ways. As you can see from my bracketed comments on each description, they all apply across the board. And, shifting your perspective might give you that light bulb moment that transforms your next marketing initiative. I'll tell you one thing: This conference is one of the best I've ever been to. I've been to a lot of them. What I enjoy the most about it is that all the speakers participate with everyone - throughout the entire conference. Last year, I learned as much from the attendees I met as I did from the speakers. With the alignment of sales and marketing so critical, this is a great opportunity to find out what it takes to get there. Go sign up now for these Free Preview Calls and consider the opportunities you can generate for your company's marketing efforts by attending the event and getting the inside scoop on sales. Who drives the marketing dialog? I was working away, thinking important thoughts (naturally), when my phone rang. On the phone was a rep from a company whose website I had visited a few days ago. I had filled out a form and downloaded a white paper. He wanted to know what else he could do for me. Part of me wonders how successful the poor guy's job is. He told me he has to call everyone who visits the website and fills out a form. Regardless of why they filled out the form. His job is to facilitate helping their website visitors find information they want. Do they think their website is hard to use? If so, why don't they fix it? If I wanted something else, is it reasonable to expect that I might ask? Does their website make it easy for me to do so? Did they think interrupting me was a worthwhile response to one download? How likely will I be to go back and fill out another form to download something else? What if I did that expecting another call (given this experience) and no one called me? Given that they know what I downloaded, why wasn't he prepared to ask me if I'd be interested in something specific that builds on what they assume I found valuable? And then email it to me immediately when I say yes? That might have made the interruption worthwhile. It might also have impressed me that they paid attention. Many companies allow prospects to drive the dialog. Some, obviously decide to drive the dialog themselves. If they choose to initiate the dialog themselves, it seems to me that they should have a specific objective to at least attempt and be helpful, given what they know. Don't get me wrong. I'm an avid believer that combining telephone outreach with online marketing is productive, but I'm not sure done in this way it works. Had I visited ten web pages on related subject matter, downloaded a white paper and signed up for and attended a webinar, then a call might have been better warranted. If you're going to call your prospects and you manage to actually get them on the phone - what are you going to do that's remarkable enough to keep the marketing dialog going? As we strive to become customer centric, there's a lot said about establishing trust via your marketing efforts. But, what does that really mean? Can you define the steps or principles your company is applying to this effort to build trust with your potential buyers? I was reading a post over at Anecdote that discusses a small experiment they did about trust building behaviors. I found it interesting and have taken a stab at extrapolating it to B2B content marketing strategy. Keeping the promises you make. This one translates directly, whether company or person-to-person. In a marketing sense, this means you need to pay attention to, and deliver on, the expectations your content and communications set with your prospects. If you promise a monthly newsletter, deliver. If you promise when they click on the link in your email that they'll learn how to solve problem A, then make sure you tell them. Open and honest intentions. 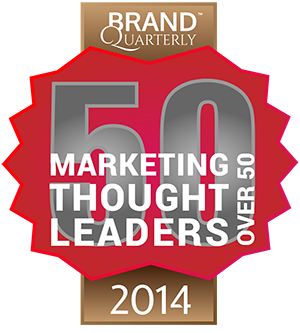 This behavior translates to authenticity and transparency in our marketing behavior. It's also a Catch Factor. Be sure to consider how your prospects will interpret your intentions. Clarity is critical here. It doesn't matter if you think your intentions are open and honest. Do your prospects and customers agree? When you send them an offer of information they'll find valuable, do you give it to them or ask them to jump through hoops to get it? Or have a salesperson call when all they've done is download a white paper? Giving credit. What occurred to me here is applying this one to success stories. Instead of writing about the problem and how your company performed a miracle to get the customer to success, why not include some insights about great ideas that your customers contributed to the project that helped achieve that outcome? Think about the impact that would make for your prospects trying to figure out how the journey of the project might impact them. Be generous with what you know. This behavior translates directly to sharing education and expertise information that adds value to the dialog and interactions you establish with prospects. Give them information that goes beyond the feeds and speeds of your products. Help them think strategically. Support during tough times. Given the state of the current economy, embracing this behavior provides a big opportunity for marketers. Helping your prospects see a path through the downturn and back to more successful times can go a long way toward building rapport needed to create future customers. These seem pretty intuitive and related to the "treat others as you would have them treat you" doctrine. What surprised me the most was that doing consistently good work fell at the bottom of the chart. That's one that companies cannot afford to slide on. But the upshot is that building trust isn't rocket science. Take the principles that matter on a personal level and apply them to every communication and content resource you develop. The better you know your customers, the better your focus will become--and the more trust you'll build. The thing I see companies struggle with the most is flipping their perspective to put themselves in their customer's shoes. Perhaps the trick is in scaling it down to a personal level instead of thinking of your leads as a bunch of other companies in one clump. Which is why personas and segmentation come in handy...well, you know, since everyone is not the same.